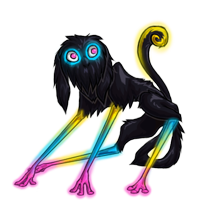 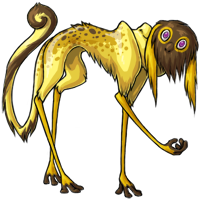 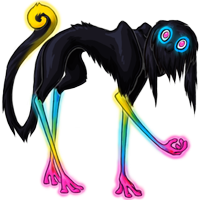 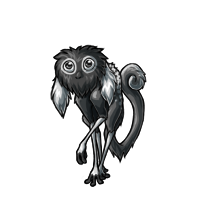 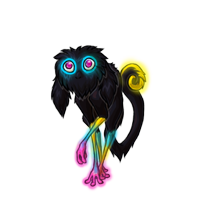 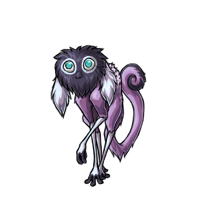 The Ivik is one of the oddest Creatu to be found in the universe of Rescreatu, perhaps because it comes from the forgotten fifth planet, Uldavi. 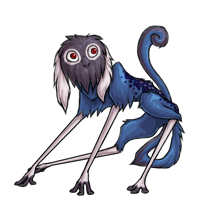 Rumor has it they were bred over hundreds of generations in a process called genetic engineering, and have never lived unassisted in the wild. Curious and highly intelligent, they are often trained to work on Uldavian ships. 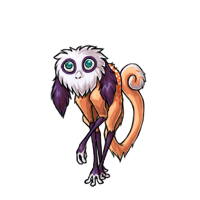 Their small stature makes it possible for them to squeeze into small areas where they can perform repairs. Their tail is prehensile, giving them the ability to grasp and manipulate objects, suspend themselves from rails, or show affection by wrapping their tail around their owner's limb. 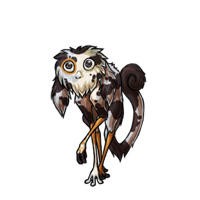 Ivik enjoy stimulating mental activities such as puzzles and riddles, and love to tinker with mechanical things. 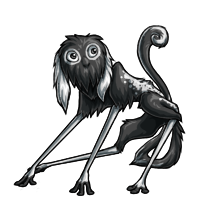 They will readily disassemble anything they find interesting if given the chance. 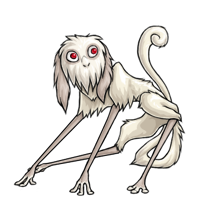 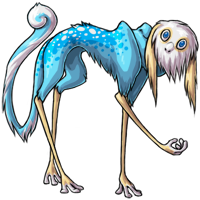 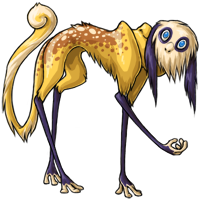 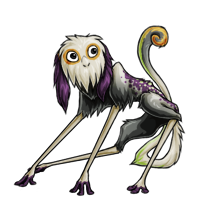 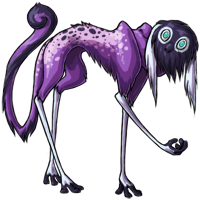 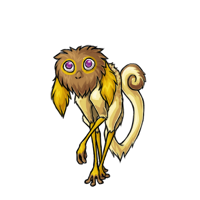 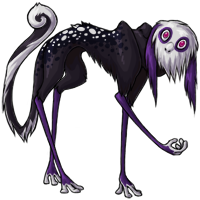 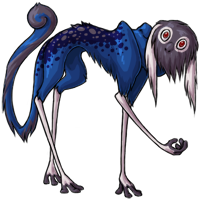 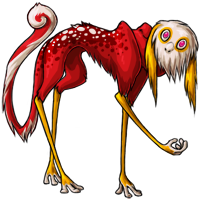 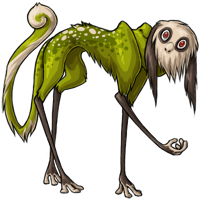 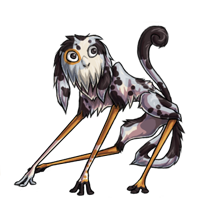 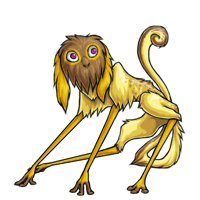 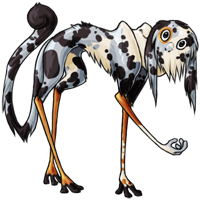 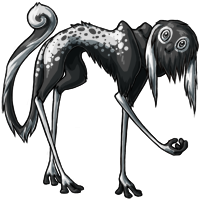 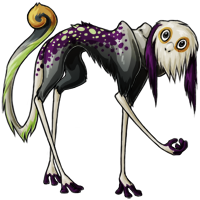 Though their long, fragile limbs give them a wonderful speed boost when running, they also make the Ivik unsuitable for hard labor. This should be taken into account when assigning tasks, as they often injure themselves in their wish to please. Shy around strangers, they tend to form very close knit bonds with their owners. 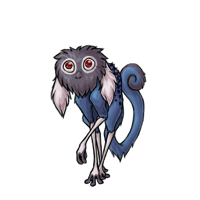 It is best to expose them frequently to other Creatu and people in order to overcome separation issues that may develop if their owner leaves for a time.